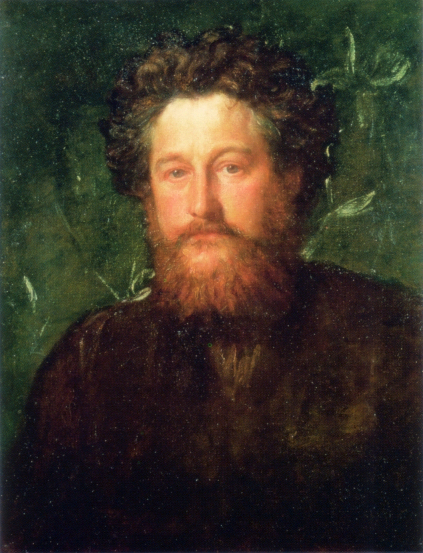 William Morris is an example of a writer whose attitude to the past is one of creative repetition rather than of return. Morris admired the Middle Ages to the point of fixation, and yet the social reference of his medievalism is quite different from that of Carlyle, or even Ruskin, who so strongly influenced him. According to Morris, the Middle Ages appears right side up, so to speak, when we see it as a creation of artists, not in its reflected or projected form as a hierarchy: when we realize that the genuine creators of medieval culture were the the builders and painters and romancers, not the warriors or the priests. For him, the fourteenth century was the time when, with the Peasants’ Revolt, something like a genuine proletariat appeared on the social scene, it’s political attitude expressed in John Ball’s question, where were the “gentlemen” in the working society of Adam and Eve? In News from Nowhere, the “dream of John Ball” (the title of another work of Morris) comes true: the people in that happy future world are an equal society of creative workers. They have not returned to the fourteenth century: they have turned it inside out. A selection of Morris’s wallpaper after the jump. This entry was posted in Birthdays, Romance on March 24, 2010 by Michael Happy.